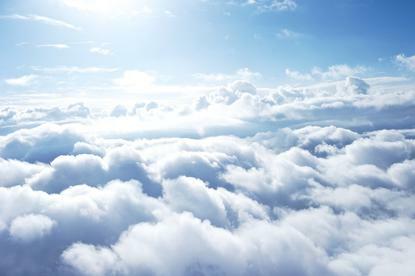 VMware has unveiled new and enhanced cloud services covering automation, analytics, cost management and compliance, in an effort to address the challenges of multiple cloud environments. Such offerings aim to provide a unified platform for helping cloud engineering and operations teams gain visibility into cloud resources, while managing costs, driving efficiency with resource management, and gaining real-time configuration compliance through automation and insights. The software-as-a-service (SaaS) based cloud operations platform includes VMware Cloud Assembly, VMware Service Broker, and VMware Code Stream. A new cloud configuration security and compliance service has also been added - VMware Secure State; along with significant enhancements to Wavefront by VMware. Furthermore, VMware Cloud Assembly provides unified provisioning across all clouds through declarative infrastructure as code, including VMware Cloud on AWS, native Amazon Web Services and Microsoft Azure. “The idea with cloud automation is to really provide the infrastructure as code," said Mahesh Kumar, senior director of product marketing for cloud services at VMware. "They can pin-down infrastructure and application specific services in the clouds of their choice with a click of a button that’s the whole idea of Cloud Assembly and the automation and orchestration we’re going to provide with that specific service." Kumar said VMware Service Broker provides self-service access to multi-cloud infrastructure and application resources from a single catalog, without requiring disparate tools. Specifically, the solution provides operations teams the ability to govern resource access, use as well as enforce security, deployment and business policies across multi-cloud environments. "While this can provide choice and ease of access for developers, it can also provide policy and ensure governance of those services in terms of who accesses them, what rights they have, where they can deploy these services and so on,” Kumar said. “IT can now work with lines of businesses and developers in providing that necessary agility, while at the same time, maintaining control of the infrastructure and applications across all clouds." Meanwhile, Kumar said VMware Code Stream automates the code and application release process with a "comprehensive" set of capabilities for application deployment, testing, and troubleshooting. Delving deeper, the solution features integrations with developer tools and supports VMware-based private clouds, VMware Cloud on AWS, as well as AWS and Azure public clouds. “DevOps teams can essentially push their code from development through to production,” Kumar added. In February, VMware acquired cloud configuration management start-up, CloudCoreo, which will be providing beta access to that service and will be rebranded as VMware Secure State. In an effort to help prevent costly security breaches, Kumar said VMware Secure State addresses real-time violations in cloud configurations through automating configuration security and compliance monitoring in native cloud environments. With Security Insights, this indexes cloud assets and builds a cloud infrastructure model to efficiently find common cloud-native vulnerabilities, as well as an emerging class of “connected threats” across configured cloud service layers - it also contains real-time detection and continuous compliance. "The idea here is that I should be able to go into the cloud and essentially stitch together all the configuration across the service layers that does two things - I can build a complete model of my infrastructure and services, and identify any configuration risks and issues that might cause security gaps," Kumar explained. "Secondly I can look at things in context across layers." Furthermore, new updates to Wavefront include increased container scalability with Kumar stating the offering can ingest, analyse and visualise metrics data from an environment running 100,000 containers. Also, the solution now features "comprehensive" Kubernetes support, serverless application monitoring and new visualisations and AWS UX enhancements. The news follows on from VMware expanding its VMware Cloud on AWS to the Asia Pacific market, one year after its launch in the US.